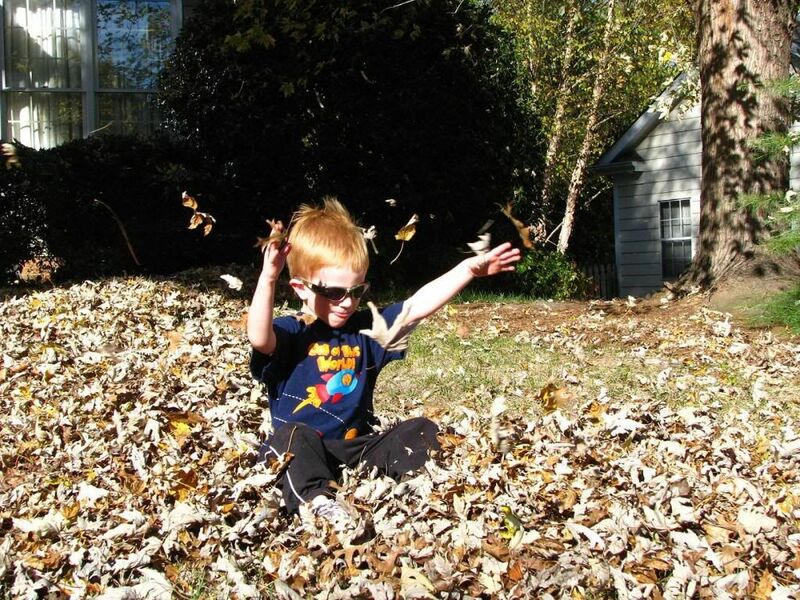 Yesterday was a beautiful Fall day, and Evan enjoyed some wonderful Fall fun while Daddy was blowing the leaves up. 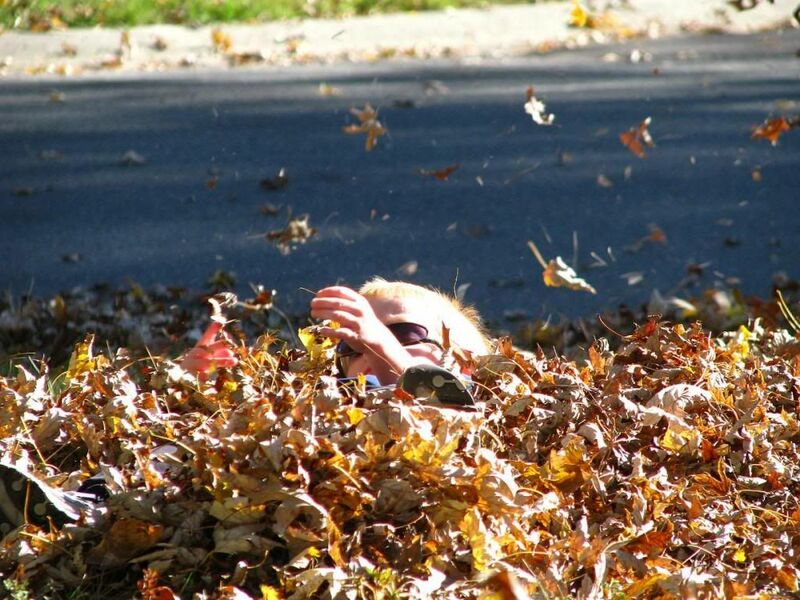 He enjoyed playing in the piles and lying in the leaves. 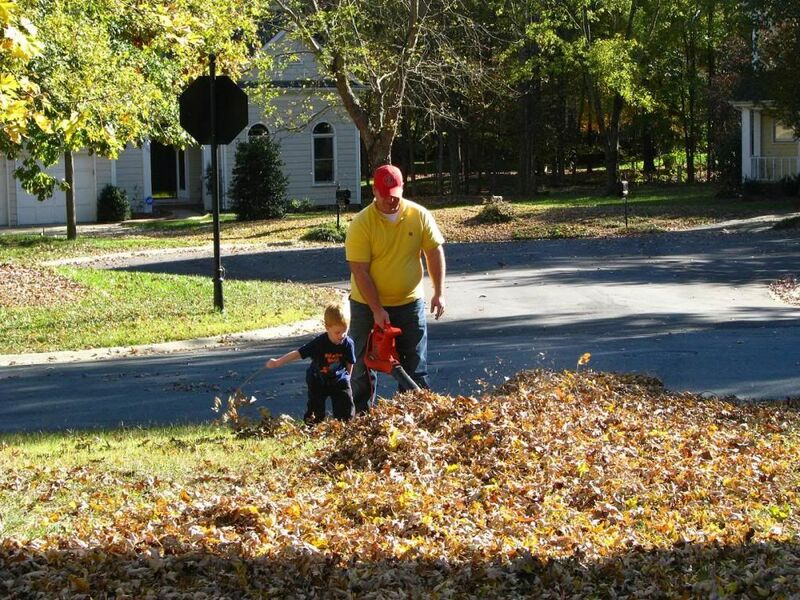 Helping Daddy with the leaf blowing. 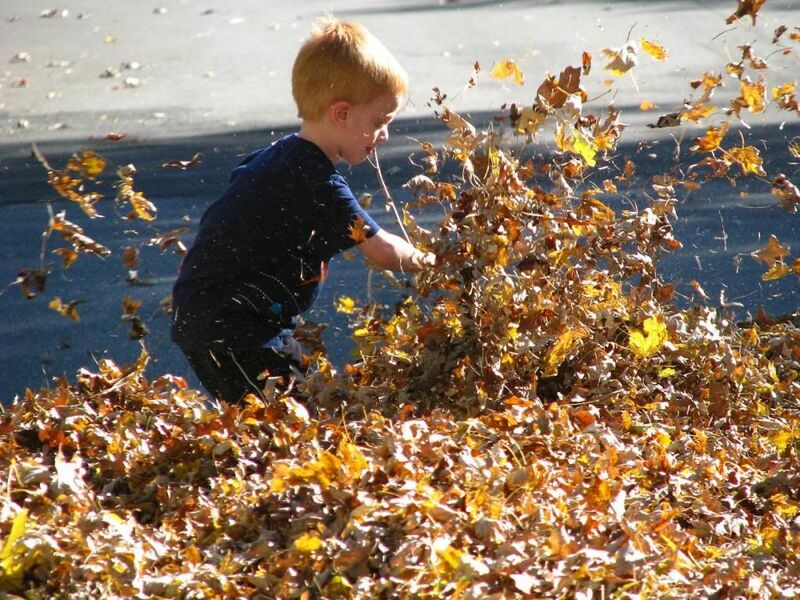 We are so glad we don't have to rake leaves anymore! 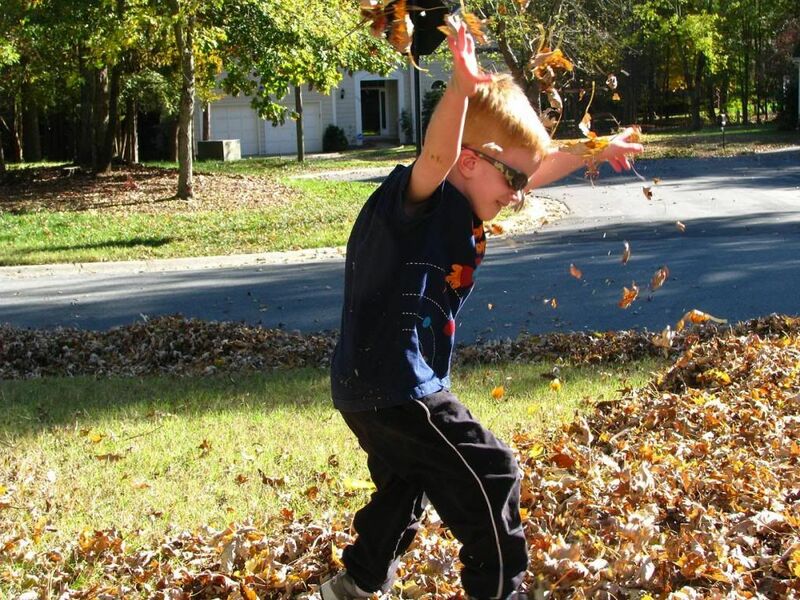 Daddy blowing the leaves on Evan. 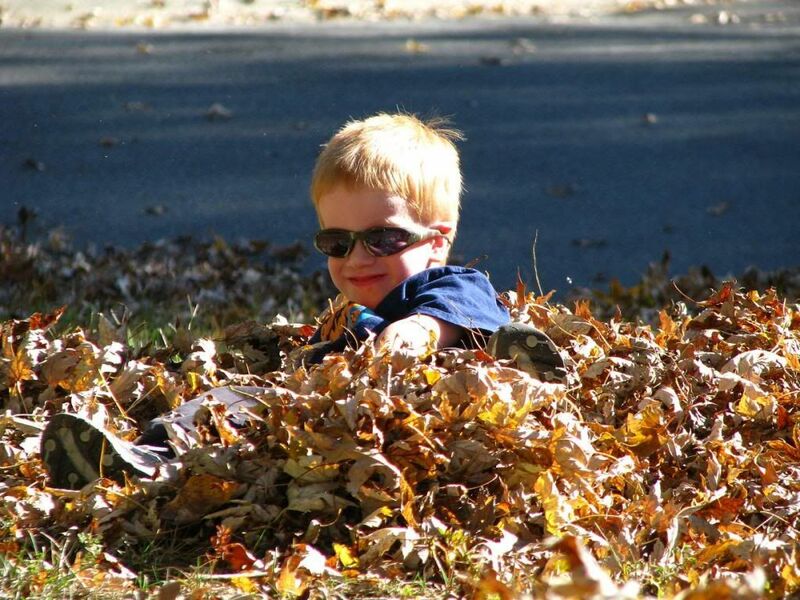 Lookin' so cool in his shades!